Students, grades 7th through 12th, meet with their friends and others at Southside Church from 6:30pm to 8:00pm on Wednesday evenings. During the service, students enjoy food, fellowship, and a fun service experience before they are released. Our students also meet in small groups on Sunday evenings in various homes, based on age. Young people are important. After all, they’re the next generation of the church. Many of them make decisions that will affect them the rest of their lives. So Southside Church is doing more and more to help bring junior high and senior high students to faith in Christ, and to nurture them as they become men and women of God. 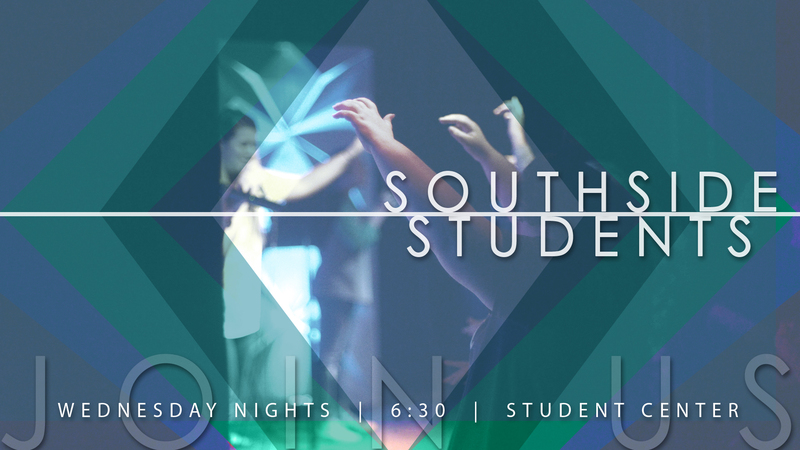 For more information on Southside Students email Pastor Jonathan here! Stay updated. Enter your email. © 2018 Southside Baptist Church. All Rights Reserved.